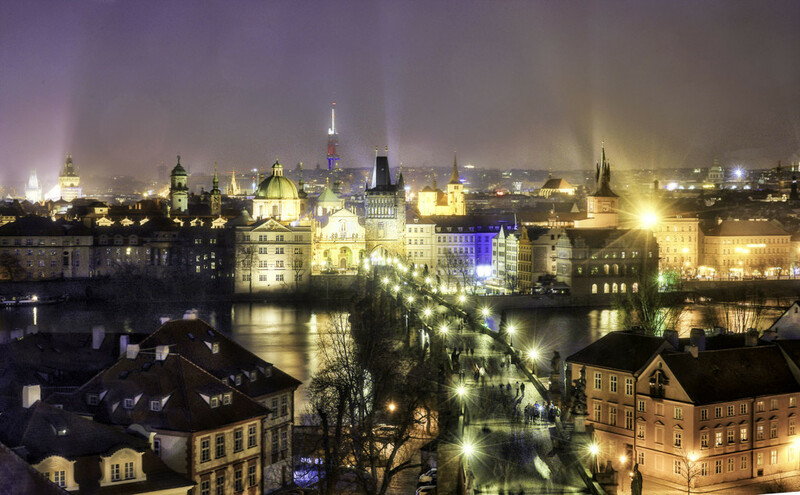 The most famous photo hot-spot in Prague is the Charles Bridge and its surroundings. You should try to get upstairs into one of the towers; there you can take the shots from above. Be careful with your time; they close at about 8 pm. I was lucky, that not too many tourists were on their way. I wouldn’t recommend a standard tripod because the place is limited on the towers. A mini-tripod is enough; you can place it between the embrasures and keep the camera better under control. The worst what could happen will be if a passenger brushes the tripod during a multi-exposure shot.